Halfdone: SOTW: CPCW, can you really steal programs? To read about the past history of Huntersoft and Unknown Device Identifier start here. it's long though. On March 22nd, 2003, the most popular printed computer magazine in China (so I'm told) called China People Computer Weekly (CPCW) wrote an article about Unknown Devices, Huntersoft and Copyright issues. I myself don't know Chinese so I ran the article though Bablefish and also asked a friend at work to help translate it into English. I now think I have a pretty good understanding of what the article is about. The title is "Is ripoff a crime?" or "Plagiarizes innocently?" First I will start with the email interview I had with Jason Chen of CPCW. The following are email messages (minus the headers and Chinese footers. Today,I have browes your site(http://www.halfdone.com/SOTW/UnknownDevicesRip/) at it happens.When I sit through that you draw,I am suprised for huntersoft's action. Zhangduo who build Huntersoft is my friend,because I have report his software.Now, I will investigate your report validity. If you trust me,I wish you give me more proof. I can help your right-keeping. That webpage and the links on it, explains my proof. Can I cover you some question? and you were one of his team. Currently Unknown Devices is not GPL and has not been in the past. The program is not from linux.org or any other linux related site and the program does not run in linux. 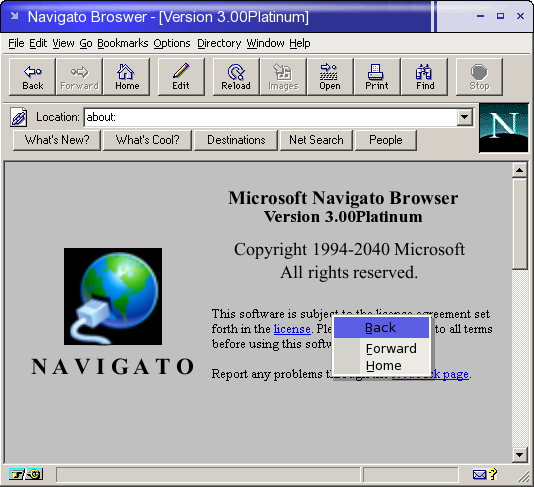 The program does have it's source available though but still under my original license. If Unknown Devices was under GPL zhangduo would be able to use the code but then he would need to release the source code in his version and keep all copyright notices. I have never worked with Zhangduo, Jacques Dubois, Huntersoft or any other "teams" or companies he is with. I have never worked with linux.org or any linux programming teams. Jacques Dubois did ask me in an email (which I also provide a copy on my website) that he "would like to cooperate with [me] on the development of Unknown Devices capable of recognizing all the devices". I do NOT wish to cooperate on any such projects. Unknown Devices was developed completely by myself and no one else. Now may I ask you a question? Is Zhangduo and Jacques Dubois the same person? Zhangduo and Jacques Dubois is the same person,that I can ensure. Have Jacques Dubois worked with you in the past? He had told me that you have served a sentence for ten years and ask me don't trust you. But I make sure you are right. No, I have never been arrested nor serve any jail time. Have a look for this:http://us.mcafee.com/virusInfo/default.asp?id=description&virus_k=100773. Zhangduo put a trojan in his program. Version 3.01 was destructive but 4.0 now just reboots the computer if you follow the steps. My webpage has more details about the trojan and how to replicate the issue. Are you Mike Oniz in past? No. My name has always been Michael Moniz. I don't know of any Mike Oniz. I just get a kick from Zhangduo's (aka. Jacques Dubois) claims. So I've been in jail for 10 years (meaning I would have been at the oldest 15 years old at the time) and that the China run Boston Police is out to get me. 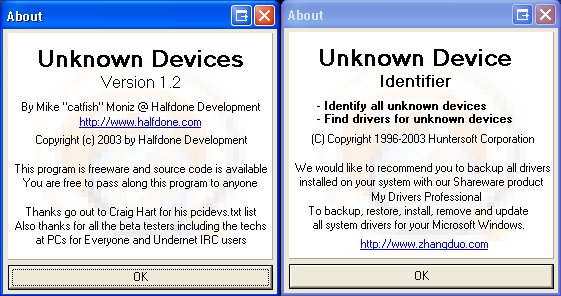 Oh and note that Huntersoft says that "Unknown Devices" was GPL, not that Unknown Device Identifier is GPL. Why is this important? Because he wants to say my program is ok to copy from. He wants to say it's ok to copy from because HE DID COPY FROM IT. Another admission that he stole my program. My software is not GPL but more about that later. When I found out that the editor is a friend of Zhangduo I didn't have very high hopes about the article. So I wasn't that surprised when I got the translation. To be fair I can understand completely when trying to figure out who stole which. When contacting several online file listing websites I ran into that problem. 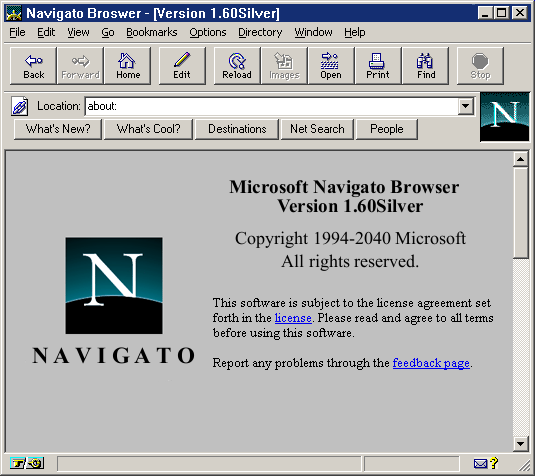 My problem with this article is that it lumps what happened with my program with other issues like Internet Explorer vs Netscape Navigator. The issue I have is quite different. Here is a quick summary of the article as I understand it. First it starts with a story about a program that appears to be called Leap News. I'm unable to find any references to this program on the internet, if anyone knows about this program please let me know. It goes on to say that Leap news has a new feature called "tornado downloading" which uses code from another program called FlashGet. FlashGet appears to be a download manager that takes a large download from a website, breaks it down to lots of little chunks which then all downloaded at once. Apparently when FlashGet was first written, concept code for download was "open source". Leap News used this code, almost verbatim, which included the FlashGet's email address. I'm unsure if they mean it was open source as in the Open Source movement or just that the source was available for download. Since FlashGet complained about it I think it's safe to assume the latter. 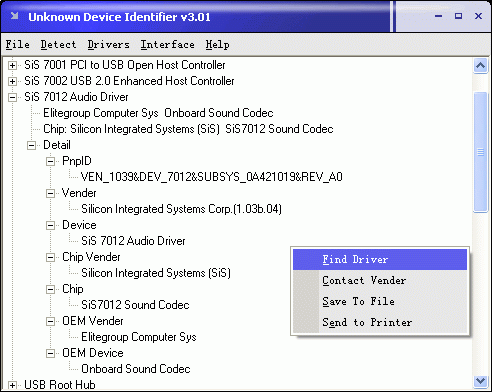 The article continues by talking about my Unknown Devices (UKD) and Unknown Device Identifier (UDI). He found about the Pricelessware Huntersoft Alert page reporting that UDI is a ripped version of UKD. He says that Huntersoft (which had an article about him back in 2002, I will try to find that) stated my program was part of a Linux project and was Open Source. Why a windows only program would be part of a linux project I have no clue. Emails even say it was with linux.org. Looking at their webpage I don't see any references to any projects they themselves run. I tried to contact them but they have a spam filter that blocks my email server and my isp's netblock. I was unable to even contact the people who created the blackhole list. 10. If you wish to incorporate parts of the Program into other free programs whose distribution conditions are different, write to the authorto ask for permission. To sum up, if you want to change a GPL program you must provided complete source code with your program, including pointing out all changes you have done to it's source code, keep all copyright notices. So even if my program were under GPL his program would be in violation of that license too. If Huntersoft used the basic idea I would have no problems with it. There are lots of programs that look up devices in some sort of list including windows itself (using .inf's as lists). But Huntersoft didn't do that. The original UDI is identical to mine, even the same bugs. After that version he did other stuff like put in a different title bar, an odd waiting bar and different menus in attempt to call if different. Huntersoft didn't copy concepts, they ripped me off. The article then moves on to a story about some schoolmates that started a software company creating Video Frequency Broadcasting software. This company went out of business due to lack of market. Later on this person found out that another company wrote a program that was very much the same as the program they created. He learned that one of his friends works at that company. Before the original company disbanded they all signed a "security agreement" (security agreement? I assume it's some cultural/legal differences there). The new company states that they did not break the agreement because the code is now in VC++ (Microsoft Visual C++) instead of (Borland) Delphi. To me it sounds like they wrote up a bad agreement. Just because someone translates a book from English to French doesn't mean you lose the copyright on it. It then moves on to how copycat software is very common in China and that this is helping the software become better. As I know very well how much better UDI is after trying to wipe out Windows. It also goes on to talk with a lawyer about copyright law. He says that if the program has a very original design it might be protected as fine arts but otherwise nothing. To me that means they have no copyright laws there, I'm not surprised. I use free software all the time, a lot of them GPL or other Open Source projects. I really did consider making my program Open Source, that's one reason I released the source code in the first place. But problems like this really put a damper on it. I wonder would someone like RMS would fight so much for Free (as in freedom) Software if someone else took his original printer software or emacs and claimed it was theirs. 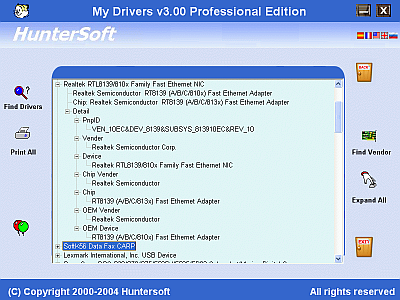 Some other news that has been happening is that I found out that Huntersoft has released a new version of his paid software called My Drivers that now includes UDI in it. The good thing about this is that since he's trying to sell this version I can file a formal copyright complaint to Qwerks. I have since done so but no reply since. Another thing I found out is what since March 21st, 2004 Huntersoft started to block my access to his website so I would think it's down or something. I just get forbidden messages. I would do the same to him but I want him to read this. After sending a certified letter with a formal copyright violation complaint to qwerks they have pulled the link for My Drivers down on the 13th. Qwerks has only pulled My Drivers but did not pull his other products though. I find out today that Huntersoft has since moved to yet another company, this time with SWREG in the UK. They have the weirdest contact/email setup I have ever seen. I sent a message so lets see what happens now. I have also noticed that Huntersoft no longer has UDI posted on their website. Hope it stays that way. Page last modified: June 20th, 2005 - 5:11pm Boston, USA time. 5,217,797 Hits on this page since July 20th, 2003. Page loaded in 0.011 seconds.